A sleepy New England town, Carlisle is primarily residential, bordered by the more bustling towns of Concord and Bedford. The town is definitely for those who enjoy some peace and quiet. A short drive will bring you to Routes 128 or 495 and there is no commuter service by the MBTA. On our trip into Carlisle, you’ll immediately notice the large size of the lots. Carlisle zoning requires all new construction to have a two-acre minimum, so if you like privacy, this is the place for you. With its emphasis on keeping town open space preserved, you can imagine that there are excellent opportunities to enjoy the outdoors. 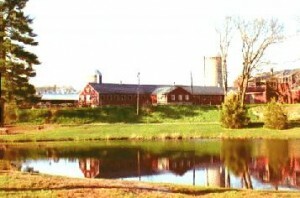 Over 20 miles of trails can be utilized at Great Brook Farm State Park for walking, hiking, biking and horseback riding. The wintertime is especially fun, when one of the trails is lit by lanterns for evening cross-country skiing. 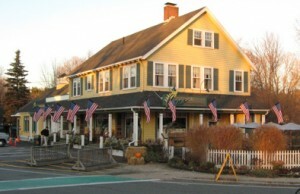 The town also has a working cranberry bog. The Banta Davis Recreation Area offers baseball, softball and soccer fields as well as a fitness course. Carlisle public schools are comprised of one elementary school that serves students in kindergarten through grade 8 and two high schools, Concord-Carlisle High School in Concord and Minuteman Regional High School in Lexington. The average SAT score for Carlisle students is 1267. Visit the Carlisle Public Schools’ website for more information. The Town of Carlisle website is filled with local information to help you get acclimated with the area. Need help setting up utilities service for your new home? I have put together some useful numbers and information for Carlisle utilities. If you have more questions about Carlisle, or about any of the surrounding towns, please call anytime. I look forward to hearing from you!